The Gujarat Common Entrance Test (GUJCET) is a common entrance exam conducted by Gujarat Secondary and Higher Secondary Education Board (GSEB) for admission to Engineering and Pharmacy programmes offered by various institutes in the state of Gujarat. UPDATE (Apr 16, 2019): GUJCET 2019 Admit Card released, read more here. UPDATE: GUJCET 2019 Exam date has been revised. Check schedule here. The GUJCET 2019 will be a pen-and-paper based test. 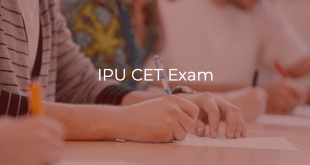 The exam will be of 3 hours duration consisting of 120 multiple choice questions. There will be 120 minutes provided for Physics & Chemistry and 60 minutes for Mathematics/Biology. Each question will consist of 1 mark and there will be a deduction of 0.25 marks for each incorrect answer. The medium for examination shall be English, Hindi and Gujarati. Candidates should be of Indian Nationality. All candidates should be bonafide residents of Gujarat. Bonafide residents of Gujarat who are residing in other states of the country are also eligible. Candidates must be passed / appearing in the HSC/12th Standard examination or its equivalent examination. Candidates need to score a minimum of 45% marks (40% marks for reserved category candidates) in the HSC/12th Standard examination to be eligible. The syllabus of Physics, Chemistry and Mathematics/Biology subjects will be of Higher Secondary or equivalent examination level. The prescribed registration fee for GUJCET 2019 is ₹300. The registration for GUJCET 2019 will begin on January 25, 2019. The last date to apply without late fee is February 8, 2019 February 16, 2019. The last date to apply with late fee is February 24, 2019. Candidates need to visit the GUJCET website and fill basic details. Verify the mobile number using the OTP received and proceed to Login. Pay the application fee online using Credit Card/ Debit Card/ Internet banking or at any SBI Branch. After reviewing the submitted information, the candidates need to submit their application form.Save application summary page for future reference. 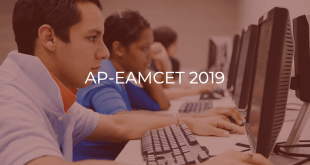 The admit card can be downloaded from the GUJCET site after April 16, 2019. Please note that admit card will be issued only to those eligible candidates who have submitted their application form complete in all respect, on or before the last date. Candidates are required to bring the Admit Card and valid Photo ID proof on the day of examination. UPDATE (Apr 16, 2019): GUJCET 2019 Admit Card released, download it here. Provisional Answer key of each version of question paper will be made available on GUJCET website after it’s notified. If any candidate is not satisfied with any answer, he/she may challenge it. GUJCET merit list will be prepared by considering 60% weightage of the percentile obtained in the theory subjects (Physics, Chemistry and Mathematics/Biology) in 10+2 examination and 40% weightage of the percentile obtained in the GUJCET 2019 examination. The result of the exam will be declared on GUJCET website after it’s notified. The candidates will be able to obtain the GUJCET 2019 result by using their application number. The GUJCET Counselling is conducted by ACPC (Admission Committee for Professional Courses), Gujarat. Candidates who have qualified the common entrance test, will have to register for the counselling process. The candiate can obtain the information booklet and PIN from any designated bank branch of Kotak Mahindra Bank after payment of Rs 350. Candidates need to fill the online form and submit the copies of following required documents at the nearest help centre. Candidates need to verify all these documents at the help centers. During the time of counselling, candidates can choose their preference for colleges. The final allotment of seats will be based on the merit of candidates, availability of seats and category. Candidates can contact GSEB through written communication, phone or email.